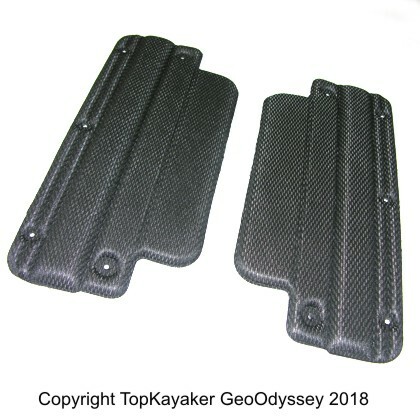 Our Outfitting department has an extensive range of replacement and custom outfitting parts used in the cockpit of your kayak. Replace or add a kayak seat, hip pads, seat pads, thigh braces and seat adjusters. 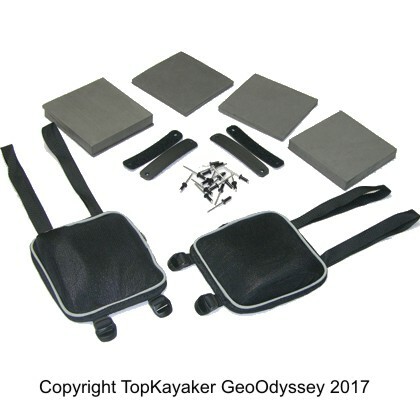 TopKayaker stocks an assortment of: Kayak Seat Assembly Options, BackBands, Seat Ratchet parts, Back Band Strap parts and Seat and Foot Brace Knobs. We also stock; Wilderness Systems Phase3 Seating replacement parts, AirPro Outfitting, CSS Comfort System Seat Outfitting common on Wilderness Systems kayaks and Mad River canoes, Perception + Dagger Zone Seating components, as well as other Perception Outfitting parts, Dagger White Water, Touring and Rec Outfitting items, Necky Kayak Outfitting and Old Town Kayak Outfitting. 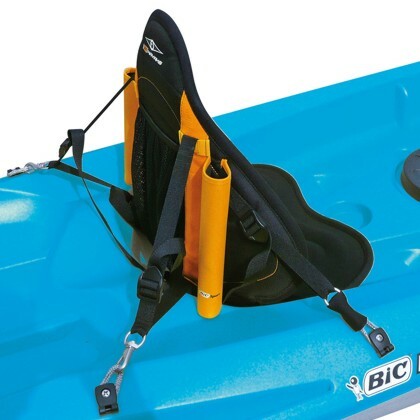 Check out the White Water Gear, Kayak Comfort, Kayak Parts and Rudder departments for additional outfitting needs. Or, search the many pages in this Outfitting section. See the Confluence Seat Addjustment Video and the Necky and Old Town ACS2 Seat Adjustment Video.